We understand that the stakes are high when planning for the future ownership of your business. The issues are often sensitive and complex and demand careful, intentional planning. As a business owner, two of your greatest decisions are deciding when to step out of the family business and how to make the transition in a manner that honors the needs of the business and sets the next generation up for success. However, the first and most important business succession planning decision is simply deciding to talk about it. Those conversations are crucial. A successful transition requires both time and intention in working with your family, your company leaders and your trusted professional advisors. It requires identifying and developing next generation owners and leaders and developing and implementing a plan that aligns with your needs, the needs of the next generation and the needs of the company. Successful transitions are what “legacy” is all about. At Legacy Law, Attorneys Brian Black, Tim Shawaryn, Neal Rice and Evan Denlinger are committed to the journey with you, and to engaging and supporting your family, your team of company leaders and your other professional advisors. 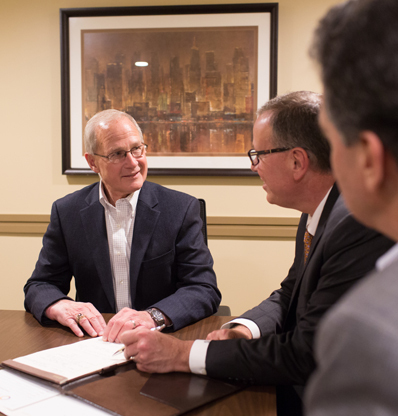 We walk with you to make the complex, simple and provide the technical legal expertise and sound counsel you need and deserve throughout the entire business succession planning process.